Many people tend to overlook kitchen lighting when undertaking a kitchen remodeling project, instead putting their focus, and their budget, into cabinetry, countertops, and appliances. 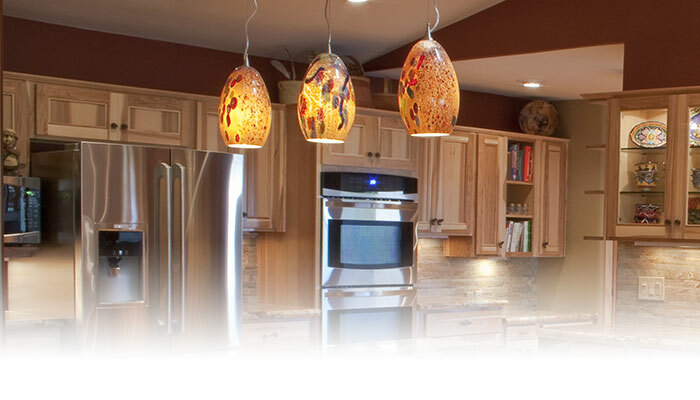 The right kitchen lighting, however, is a crucial component of good kitchen design. Not only does it allow you to adequately see what you’re doing, but it also sets the mood and enhances the appearance of your kitchen. 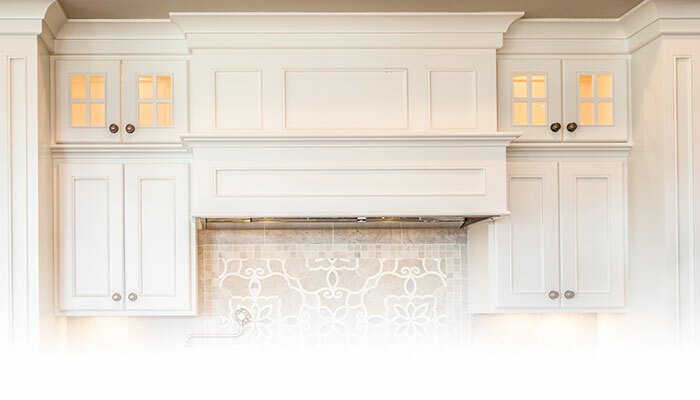 Let the kitchen remodeling experts at Mission Kitchen and Bath help you create a kitchen lighting configuration that will be both aesthetically pleasing and practical. Gone are the days of installing a single light in the center of the kitchen, or even installing a single type of light. As the kitchen has evolved into a central gathering area of the home, it has become necessary to create a kitchen lighting plan that will showcase the kitchen as well as provide appropriate lighting for all of the tasks that take place in the kitchen. Today, proper kitchen lighting will include a combination of lighting types that will provide both lighting for tasks as well as lighting for ambiance. There are four main types of kitchen lighting that should be incorporated into your kitchen lighting design which include task lighting, ambient lighting, accent lighting and decorative lighting. These four types of lighting can be combined and layered to provide a wide array of lighting options and moods. For maximum control over your kitchen lighting, consider placing each lighting style on a separate switch and including a dimmer knob for each type. Creating the perfect kitchen lighting configuration depends greatly on the size, style, and layout of your kitchen, including surface materials and natural lighting. The kitchen lighting experts at Mission Kitchen and Bath will assess your kitchen and make recommendations on lighting types, amount, and placement. Mission Kitchen and Bath has partnered with three Kansas City lighting companies to make it easy for you to pick the perfect kitchen lights. Just visit one of Mission Kitchen and Bath’s partners, select your kitchen lights, and we’ll take care of the rest, from ordering to installation. 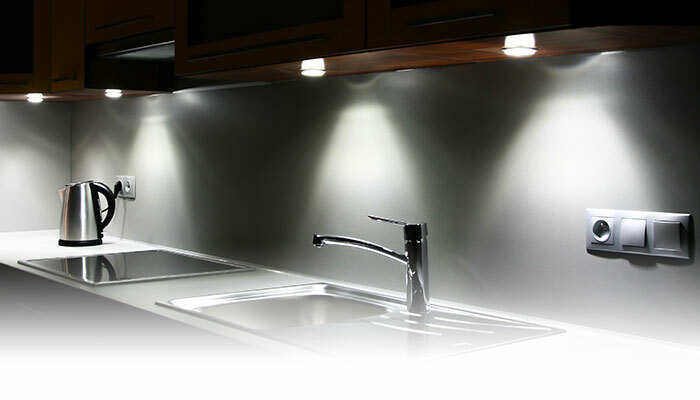 Provides appropriate lighting for completing tasks such as cooking, chopping, or reading recipes. Common placement for task lighting includes under cabinets, above the sink and range, over an island, and above a desk or work area. Provides the kitchen with soft light that will convey warmth and set a mood. Common placement for ambient lighting includes above and around cabinets as well as over an island. 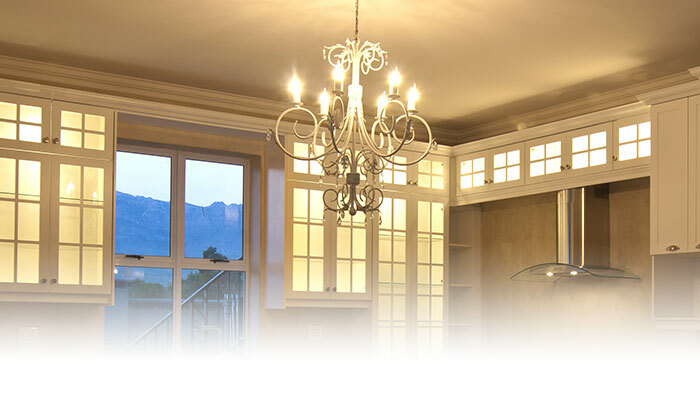 Track lighting and pendant lighting are good choices for ambient lighting. Highlight and bring attention to focal points in your kitchen. Directional spot lights can be used with artwork. Lights placed inside cabinets with glass doors are a great way to focus attention on unique dishes or glassware. Ornate and artistic. These light fixtures accessorize your kitchen. Decorative lighting should be in proportion with the size of your kitchen – a larger kitchen will need a larger piece, like an intricate chandelier, while a smaller kitchen will need a smaller light fixture.